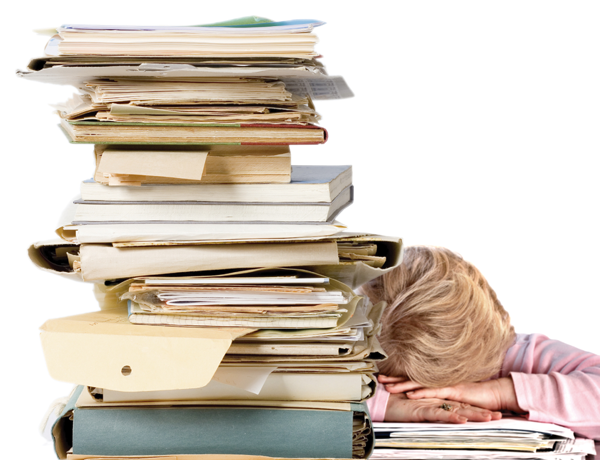 When examining typical Human Resource processes, paperwork often represents a major bottleneck. The paper-shuffling administrative processes of most HR departments can slow decision-making, take up valuable resources, and open the door to data-entry errors. That’s where software like Ascentis HR Office or Sage HRMS can help you achieve a paperless HR department and significantly improve workplace efficiency. Here's how paperless HR software can help you streamline the storage, retrieval, and processing of all your paper-related HR tasks. Companies across every industry recognize the competitive significance of going paperless. When you empower HR staff and management with quick and easy electronic access to vital HR data, they can make informed business decisions that can help you adapt to change faster than competitors. Since HR software (also called HRMS or HRIS) securely and electronically stores employee and company information in a database, it provides key decision makers with real-time analytics and reports on employees, performance, programs, benefits, and workforce costs at the click of your mouse – which eliminates the slow and tedious process of cobbling together disparate spreadsheets and hard-copy paperwork. Tools like Employee Self Service allow your employees to enroll in HR programs, review their benefits data, report life event changes, and update personal information online — all without lengthy administrative paperwork or multiple requests from your HR staff. Plus, company HR records are always up-to-date in “real-time” and easily accessible to employees and upper management. In addition to a significant increase in productivity, going paperless with Ascentis HR Office or Sage HRMS will have a tremendously positive impact on your bottom line. Not only do you eliminate the hard costs of printing, delivering, handling, and storing paper documents, you also improve the productivity of HR staff and boost morale by eliminating mundane and repetitive tasks. Employee Administration – with all of the proper security protocols in place, the self-service functionality or paperless HR software allows employees to initiate time-off requests, review payroll history, determine the benefits they are signed up for, report life event changes, and more. In this way, Employees take responsibility for entering routine requests and administrative information themselves, which increases the accuracy of HR data and reduces costly errors. Online Applicant Tracking and Recruiting – Open positions can be posted online and applications received electronically. HR managers can then sort and filter based on applicant job skills and other criteria to recruit the best qualified candidates. Those applications can then be routed electronically to managers in other departments for further processing. HR Compliance and Reporting – HRMS systems help ensure compliance with HR laws and reduce the risk of fines, penalties, and missed deadlines. HR software includes built-in compliance rules and guidance. And since all of your employee activities are tracked and managed in one single system, reports are updated, accurate, and can be run with the click of a button (rather than manually patched together from files, notes, spreadsheets, and multiple data sources). Just about every HR process can be completed without all the cost and inefficiency of storing, managing, and retrieving paper. When you leverage technology like Ascentis HR Office or Sage HRMS, you get a reliable tool for performing each and every critical function of HR with increased efficiency, cost savings, and enhanced social responsibility. Contact us if you’d like to learn more about the benefits of Paperless HR or HRMS software. P.S. If you’re an existing Sage 300 ERP customer (formerly “Accpac”), we offer HRMS software that’s integrated and designed to work hand-in-hand with your accounting system.